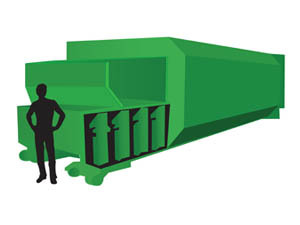 Compactor Service - Quantum Waste Solutions, Inc.
Compaction is the most efficient and cost effective manner to handle unmanageable volumes of waste materials. 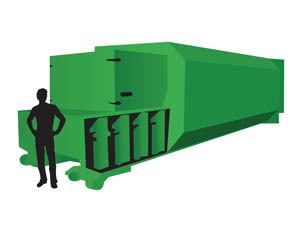 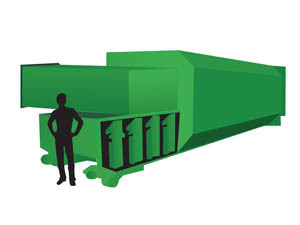 Compactors reduce waste to a fraction of its original size. 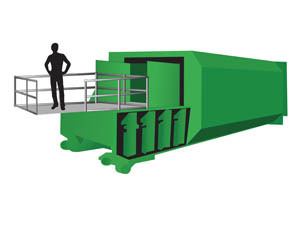 Refuse is deposited into the compactor charging chamber where a hydraulically operated compacting ram crushes the material into a closed receiving container. 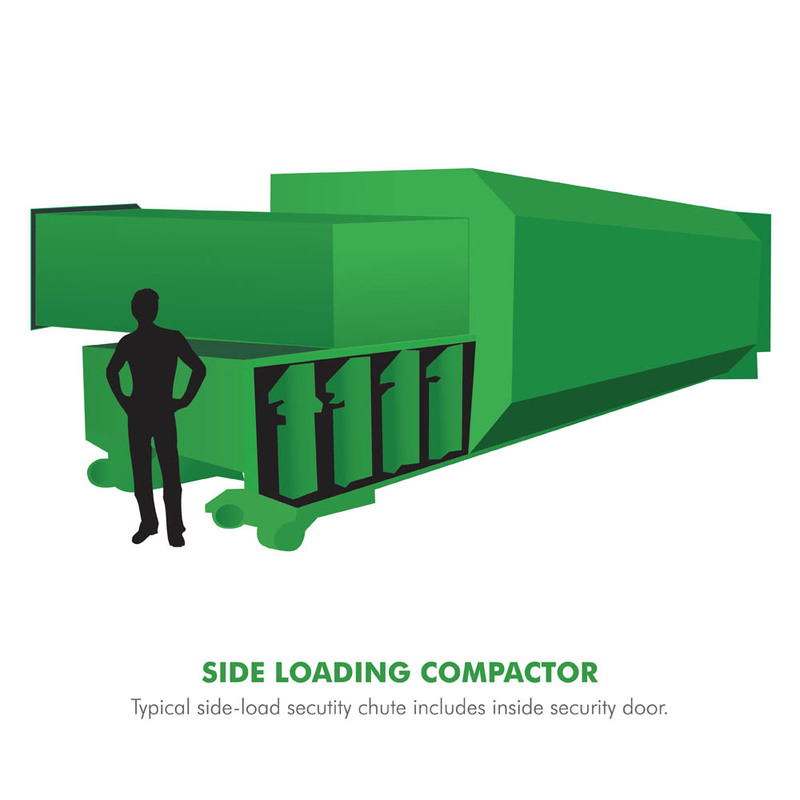 Typical side-load secutity chute includes inside security door. 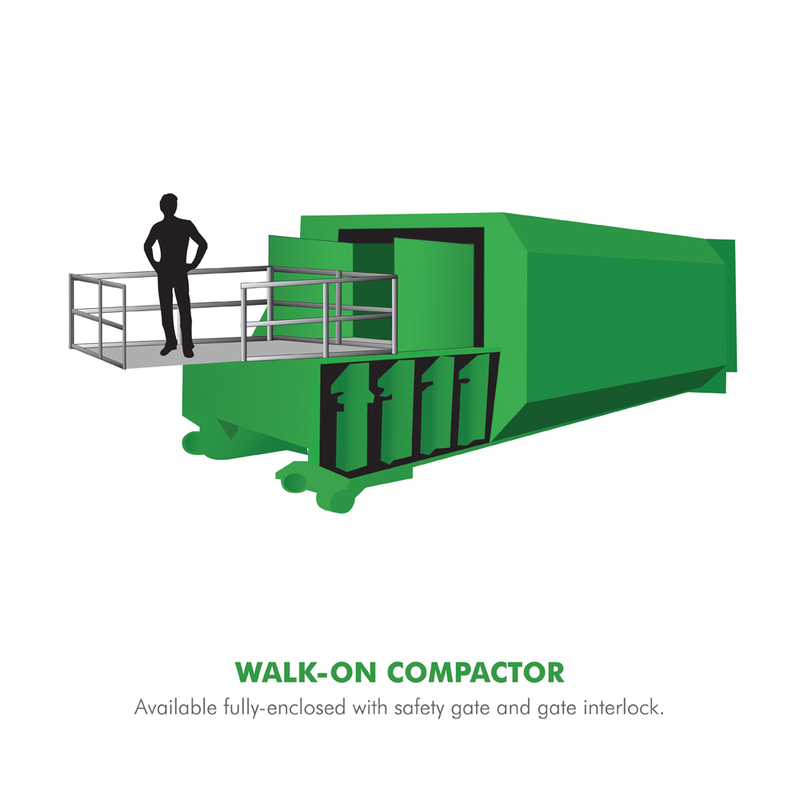 Walk-On Dock installations are available with fully-enclosed safety gate and gate lock interlock mechanisms. 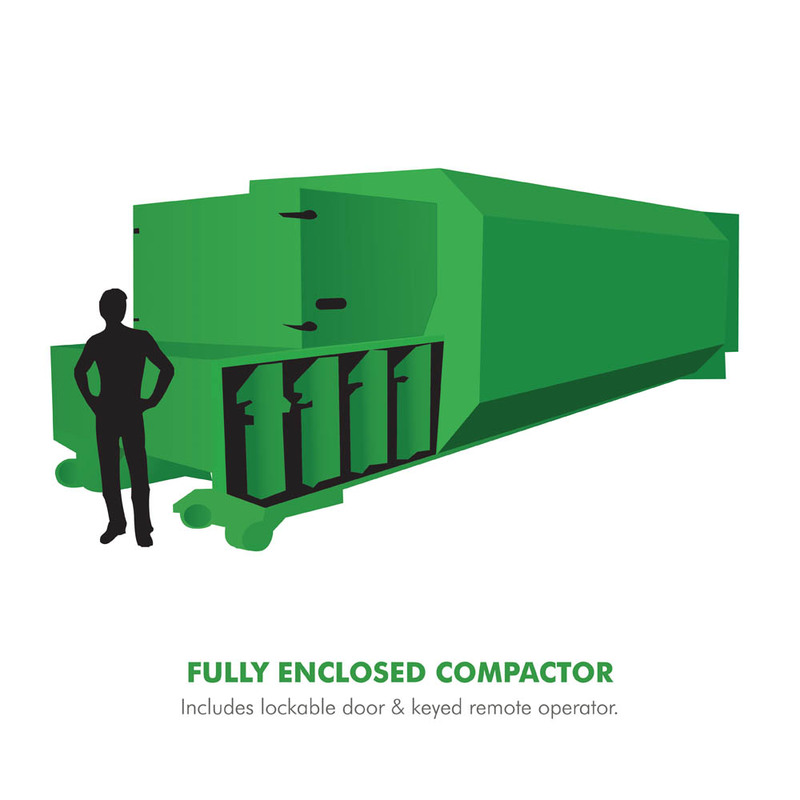 Fully Enclosed Free Standing installations are avaialable with lockable door and keyed remote operator mechanisms. 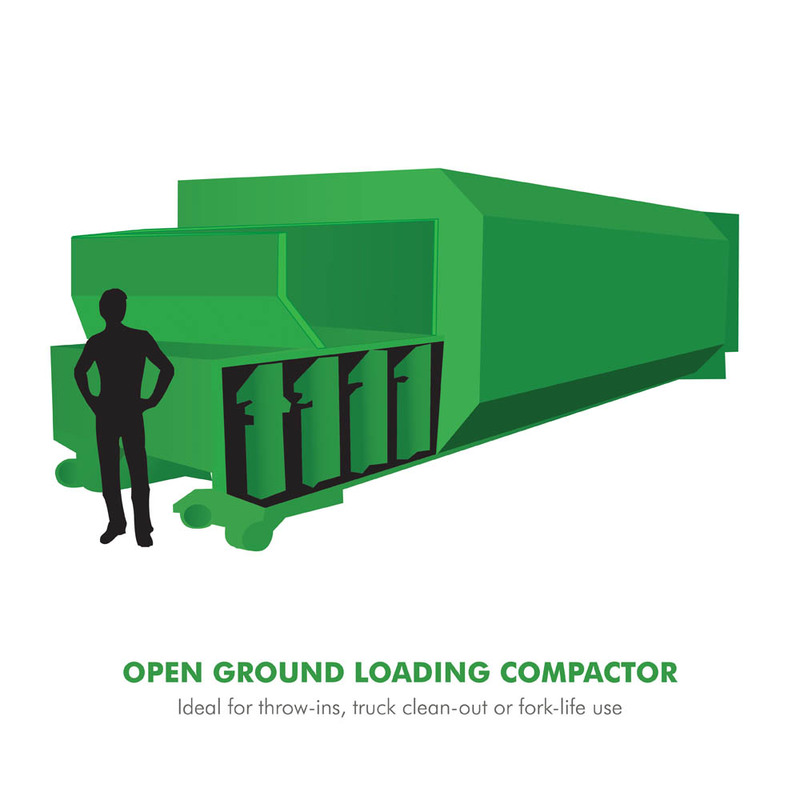 Open Ground Loading installations are ideal for throw-ins, truck clean-out, or fork-lift use. 30 & 35 Yard Self Contained Compactors which are ideal for the removal of parital liquid wastes.